Teenager Kim Kuk-hyang paid tribute to North Korean leader Kim Jong-un after winning her country’s first ever World Aquatics Championships gold medal. The 16-year-old diver won in the women’s individual 10m platform final – with China’s Ren Qian, 14, second. “It gives me great pleasure to meet the expectations of my government and our great leader,” Kuk-hyang said. Britain’s Tonia Couch, 26, matched her best individual World final result by finishing in eighth. The Olympian who won the overall World Series title earlier this year – had already secured Team GB a place in the event at the 2016 Rio Olympic Games by virtue of qualifying for the final. 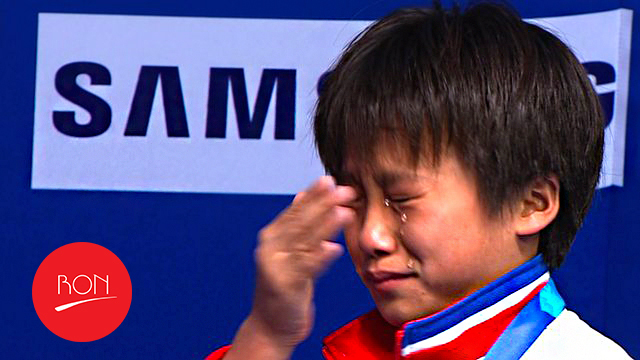 North Korea’s team bronze on Wednesday was the country’s first-ever World Championship medal. They are trained by world-leading Chinese diving coaches and are quickly establishing themselves as serious medal contenders in multiple events. On Friday World Series winner Jack Laugher will attempt to add to his medal collection in the individual 3m springboard final – having won bronze alongside Chris Mears in the synchronised event earlier in the week.